Back in January 2016, Meticuly, in cooperation with the Faculty of Engineering, Chulalongkorn University, and doctors from the Department of Orthopaedics, Phramongkutklao Hospital, announced the first successful transplant of a 3D printed titanium hand bone prosthesis. Ever since, Meticuly’s team of engineers have cooperated with the best doctors from leading hospitals all over Thailand to expand their capabilities in making high quality prostheses of a variety of parts, for instance, for finger bones, elbows, arms and cranial plates as well as advanced surgery assisted kits that help reduce operating times and help provide better surgical precision. 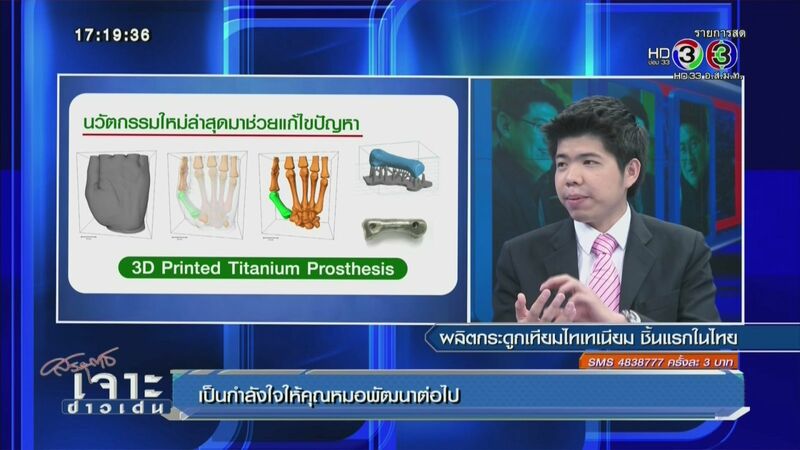 Chedtha Puncreobutr, Ph.D., Co-founder of Meticuly on Thai TV news show. 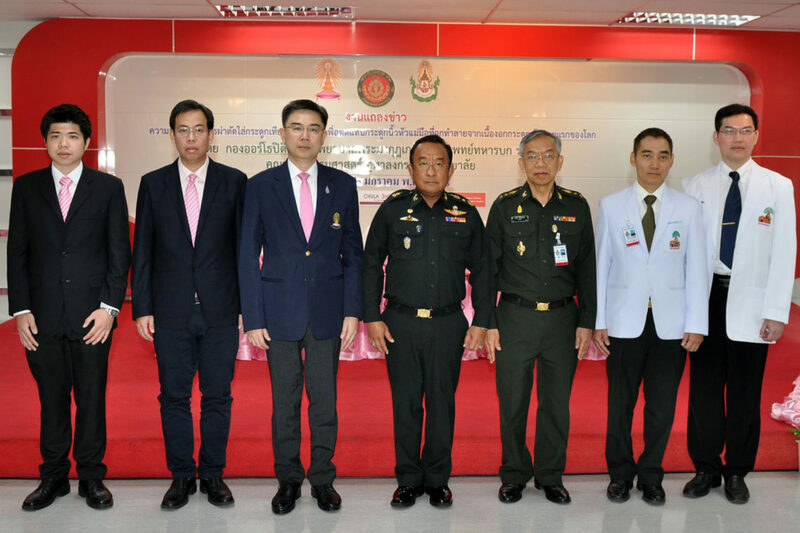 To build upon continued success of its ‘100 Prostheses for Thai Patients’ donation campaign, the Faculty of Engineering at Chulalongkorn University is setting its sights on donating 5 million Baht to produce and develop better customized 3D-printed titanium prostheses for Thai people. The group is welcoming donations from everyone to help make this campaign a success. Every donation is tax deductible to up to 200 percent. The group is also welcoming interested doctors and physicians to join in on the development project to help advance the technology in making better prostheses for Thai people. To this day, the project has raised contributions to support 66 prostheses transplant patients and is on course to reach 100 cases by the end of 2018. Patients in need of support can reach Meticuly and the project coordinators at 020249602 or 0964146663.